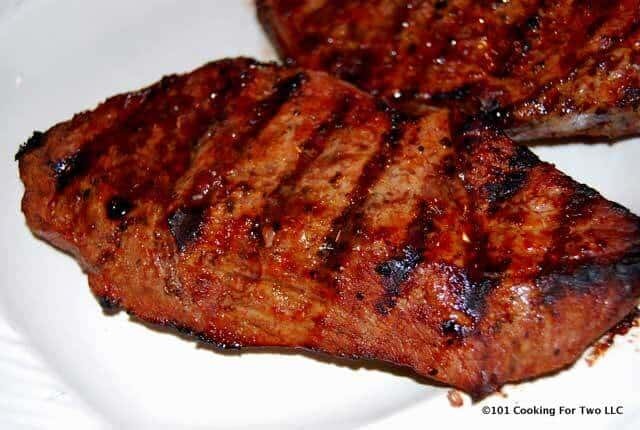 Great tasting grilled sirloin steak with an excellent marinade. Just follow these easy step by step photo instructions. Editor’s Note: Originally Published May 1, 2010. Updated with re-edited text, added material, and updated photos. Please enjoy this updated version. 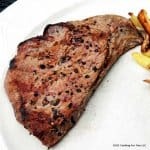 I originally called this recipe Bourbon Street Sirloin Steak a la Applebees which seemed fine in 2010, but they changed their recipe a number of years ago. But that doesn’t change my recipe. So at this rewrite (2018), I changed the name. I liked the old version a bit more. But mine is better than both. I have always wondered how a relatively cheap piece of beef got so darn good. It was an obvious target to recreate. If this were a throw down, I’d win. Better taste, very tender and moister than that 2010 Applebee’s version. 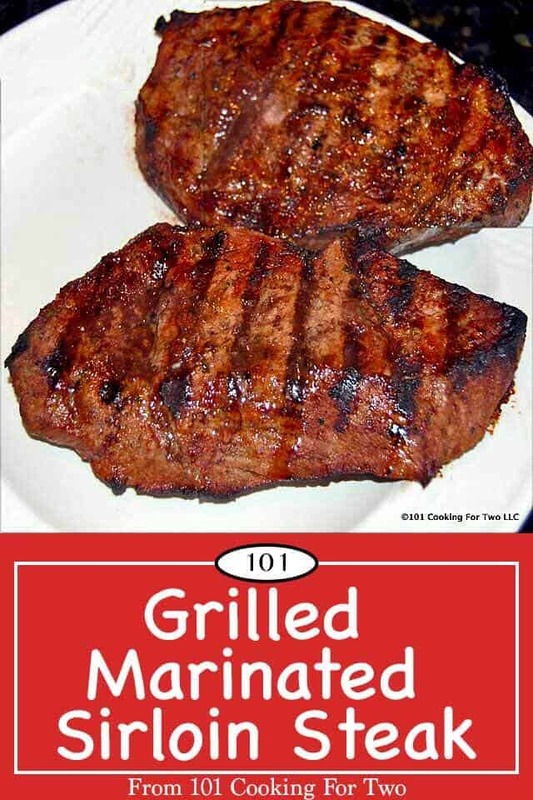 A simple marinade for 2 hours then 10-12 minutes on the grill. Grrrrreat!!!!! This one goes in my repeat over and over file. I have to do the five since the taste and moisture were great. But it is sirloin, and not quite a higher end steaks so call it a higher 4 if you want. 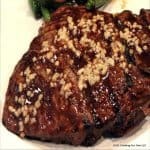 What temperature to cook a sirloin steak? 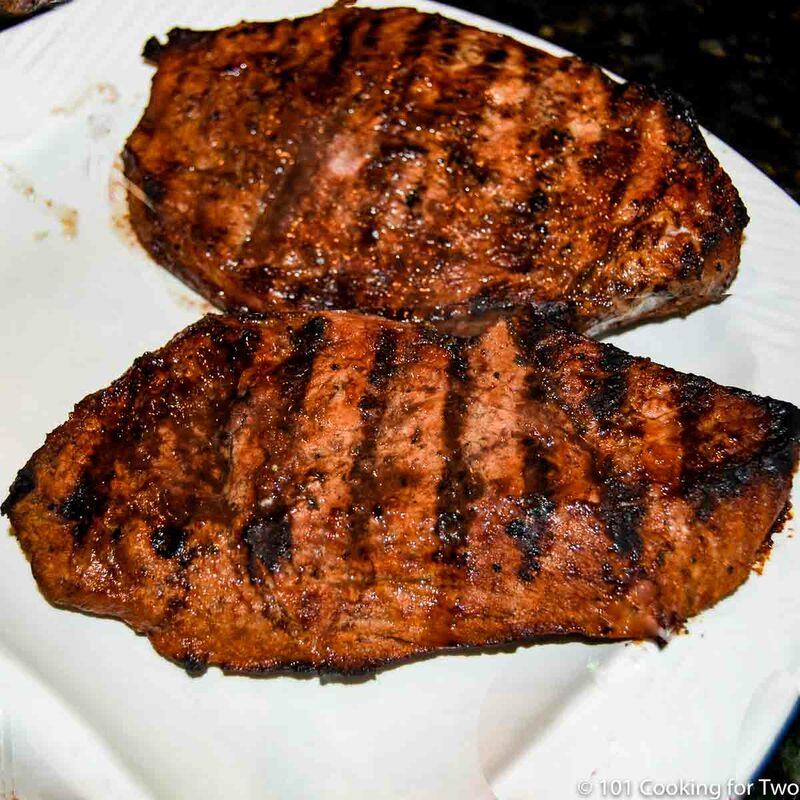 A sirloin is from a well-used muscle area of the cow so tends to be tougher. 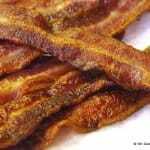 It is also leaner than many other cuts, so it is best cooked on the rarer side. If you like your beef well done, you should pick a different cut of meat. Grill surface temperature should be hot. Since it is beef, just turn it up to the max. My grill can get to almost 700 degrees, but almost all grills will be 550 plus which is fine. For charcoal grills, also as hot as it goes. We are going to talk American for a few minutes. The sirloin is located behind the short loin which is where most of what we usually call “steak” comes. There is the “top sirloin” which costs the most of sirloin and is most tender. It will definitely be labeled as top to fetch the premium price. The bottom sirloin is where the sirloin steaks come from (what I’m cooking here). Also, the tri-tip roast comes from the bottom sirloin. Under that will be the sirloin tip roast. 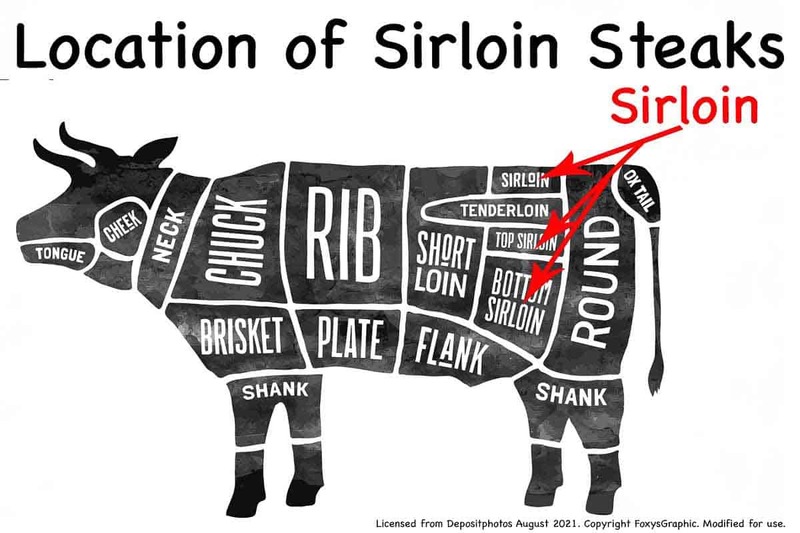 In other parts of the world, what we call the loin area is called the sirloin and what we call the sirloin is called the rump. Top sirloin won’t need quite this much attention but the standard “sirloin steak” does. I’m taking “two bites of the apple” so to speak. I’m using both a mechanical tenderizer and a chemical. The chemical is Adolf’s meat tenderizer which has a pineapple extract to help tenderize. You can skip either one or both, but your steak will be a bit less tender. And one final tidbit, the Applebee’s version was named after Bourbon Street, not bourbon the drink. Hence, no bourbon in the recipe. In a 1-gallon zip lock bag mix 1 cups water, 2 tablespoon Worcestershire sauce, 2 tablespoon soy sauce, 4 teaspoons chili powder, 2 teaspoons garlic powder, 2 teaspoons paprika, 2 teaspoons pepper, 1/2 teaspoon salt, 1 1/2 teaspoon Adolf’s meat tenderizer, 1 teaspoon cayenne pepper, 1 teaspoon onion powder, and1/2 teaspoon oregano. Trim two sirloin steaks about 8-10 oz each. 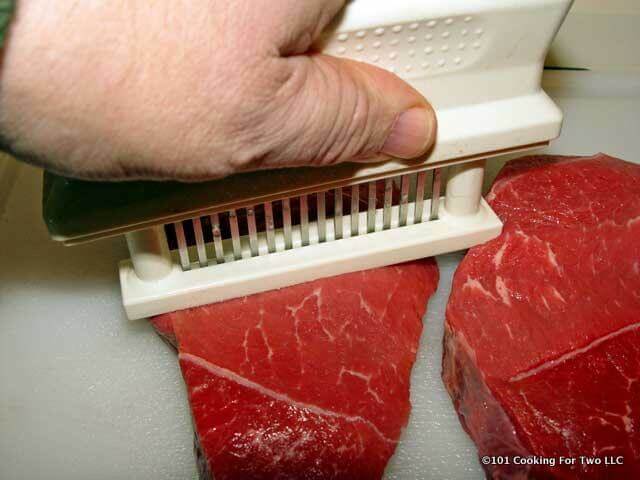 Use a mechanical meat tenderizer if available to prep meat. If not available, use a narrow knife and puncture each side about 20 times. 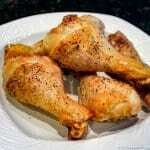 Place meat in marinade and refrigerate for about 2 hours (1-4 hour range). Preheat on high for your grill. Clean and oil grill. Grill with lid closed over high heat for 5 minutes and turn. Continue until you reach the internal temp of your choice. I went for 140-145 which took about 12 minutes total on this grill. 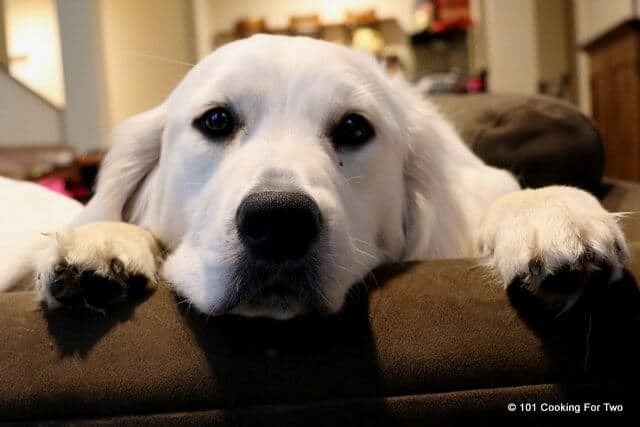 Remove and let rest for 5 minutes. 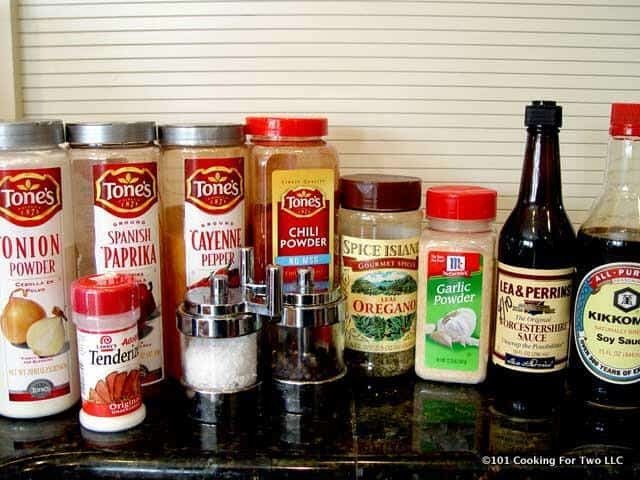 In a 1-gallon zip lock bag mix 1 cups water, 2 tablespoon Worcestershire sauce, 2 tablespoon soy sauce, 4 teaspoons chili powder, 2 teaspoons garlic powder, 2 teaspoons paprika, 2 teaspoons pepper, 1/2 teaspoon salt, 1 1/2 teaspoon Adolf's meat tenderizer, 1 teaspoon cayenne pepper, 1 teaspoon onion powder, and1/2 teaspoon oregano. Preheat on high. Clean and oil grill. 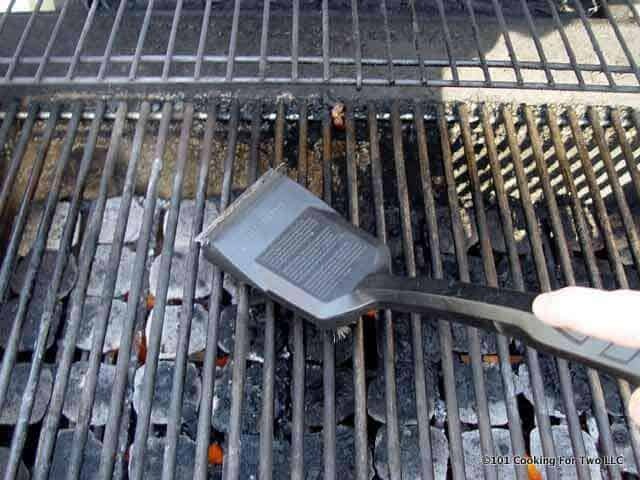 Grill with lid closed over high heat for 5 minutes and turn. Continue until you reach the internal temp of your choice. I went for 140-145 which took about 12 minutes total. Continue until you reach the internal temp of your choice. I went for 140-145. Cooking time will vary due to the thickness and grill variables. 8 to 14 minutes for most people. I would try it. I can’t give you a time but check the temperature of the steak. Where did you get that tenderizer thing from? 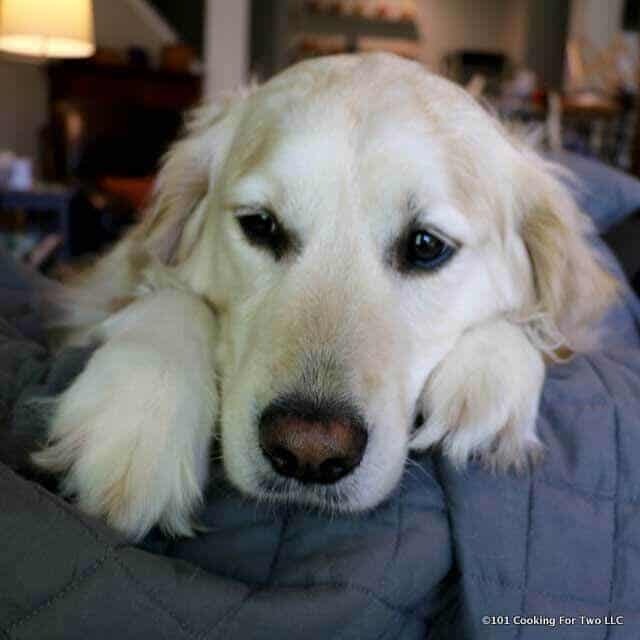 Now I want one. The jaccard (that’s the tenderizer thing for the rest of you) fell apart during cleaning. Just 2 screws but I can’t seem to find them yet. It is “fun” and I think I was too aggressive. Just use a fork and punch a bunch of holes in it. It’s the same thing. I’ve been meaning to get one of those jaccards but haven’t gotten around to ordering one. I just tried this recipe at Applebees a few weeks ago and I was wondering the same thing! I was suprised at how flavorful and tender it was- I thought I just got lucky! I can’t wait to try this myself. 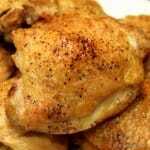 Thanks for posting this recipe!